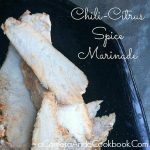 This recipe is called Chili Citrus Spice Maridinade that would be great with pork or chicken. You could do like I did and cook it in the oven or even better yet you could cook it on the grill. 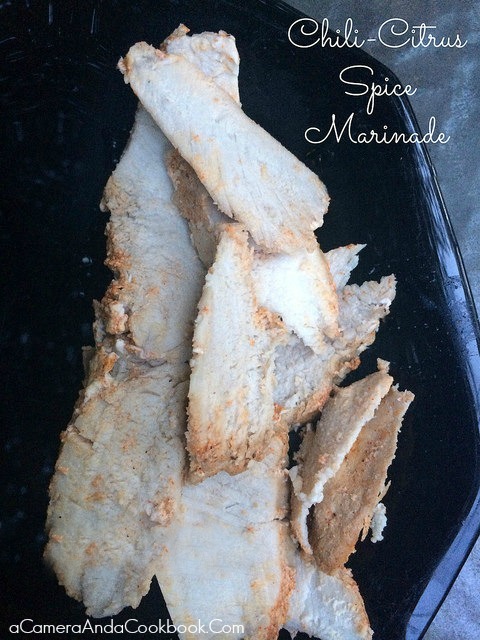 Orange juice, lime juice, garlic, cumin, chili and ginger combine to make a tasty marinade for pork chops or pork tenderloin.